The Penny Hoarder has written about lots of seasonal jobs, from guiding hiking trips to working as Santa Claus, but here’s a less common option for the list. Have you ever considered working as an Easter Bunny? Yes, it’s true — spring offers yet another opportunity to dress up in a funny costume to earn money. When I was younger, I worked at my local shopping mall with a photography company, and we would take pictures of kids and their families posing with the infamous Easter Bunny. On a few occasions, I even got to put down my camera and be Easter Bunny myself. Surprisingly, it was easy and fun! Curious about trying this seasonal job for yourself? Here’s what you need to know. What Does an Easter Bunny Do? It’s not just about sitting in a chair and waving to kids. A typical Easter Bunny shift could include wearing a bunny costume, waving, handing out samples or small presents to children, interacting with people nonverbally, posing for photos with kids and even dancing if you’re hired for a private event. Could You Work as an Easter Bunny? You will need to pass a background check, since you will be working with children, and most companies require drug testing as well. Many postings also require that you can lift at least 50 pounds, since you’ll likely be picking up kids during your shift. You don’t even have to memorize a script or practice a certain accent, since the Easter Bunny does not talk. Depending where you get a job, you may be provided with an Easter Bunny costume, but you might also choose to buy your own. If you want to buy one, you can find a few Easter Bunny costume options online for around $100. You will need to keep the head and hands of the costume on at all times while you’re working. Since you’ll be in costume, you can wear anything you want underneath. However, you’ll want to choose light clothing that will keep you cool! When I was the Easter Bunny, the costume quickly heated up, especially since I was lifting children on and off of my lap. Luckily, the costume I wore had a small fan on the inside. Still, it gets warm — plan accordingly. In my time as the Easter Bunny, I worked four-hour shifts with a 15-minute break. This gave me the time to take the head off the costume, cool off and relax for a few minutes. The nice thing about working as the Easter Bunny is that unlike for Santa Claus positions, the company can hire multiple people for the role, since kids won’t notice that there’s someone new inside the suit. Hiring multiple people for the same role helped the company guarantee it would be able to schedule events every day, and it helped us workers avoid spending eight full hours inside the costume. Bonus: It means more jobs are available! Not sure where to start? For a typical Easter Bunny job like the one I did, where you won’t need your own costume, ask about opportunities at local stores that offer pictures with the Easter Bunny. Look for entertainment companies in your city as well. These companies hire out characters and actors for various types of events, from office parties to community festivals. I worked for Noerr Programs when I held this position, but you can also check out Premier Events or Rent A Character. If you have your own costume, you have more options. Think about local events and activities where the Easter Bunny might be a big hit. In my area, there are a lot of events where kids can have breakfast with the Easter Bunny. Shopping Malls: Many malls set up displays where kids can have their photos taken with the Easter Bunny. Search with your ZIP code on Worldwide Photography’s website to see available positions at malls near you. Schools: Could you visit a local elementary or preschool? Parties: From birthday parties to block parties, these celebrations can be great opportunities for the Easter Bunny to make a quick appearance. Parades: Does your city or town host an Easter parade? 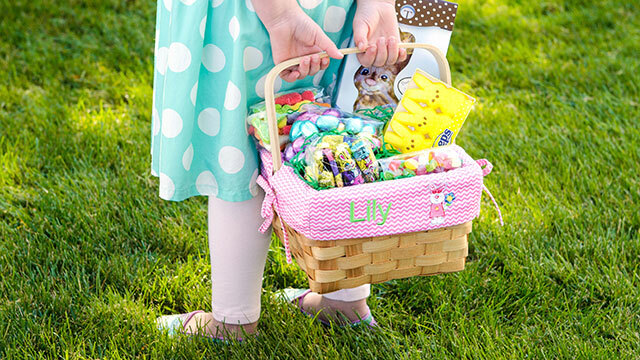 Easter Egg Hunts: This one’s a no-brainer. Community Events: Check whether your area hosts a breakfast with the Easter Bunny or other spring events. Photographers: Contact a few local photographers to see if they’re doing photo shoots or working at community events and need an Easter Bunny for the day. Check online listings for Easter Bunny jobs. How Much Do Easter Bunny Jobs Pay? The amount of money you can make as an Easter Bunny will depend on where you work. If you find a job at a department store or mall, you’ll likely earn around minimum wage, but if you get hired by an entertainment company or decide to be a freelance Easter Bunny, you could make anywhere from $60 to $185 per hour. When I was the Easter Bunny, I earned a dollar more than minimum wage at the time. On the days that I was the photographer, my rate went back down to minimum wage. When setting your rates as a freelancer, remember to consider costs such as travel, food and your costume. Working as an Easter Bunny can be a lot of fun. Not only is it easy, but you don’t even have to talk to anyone! Your Turn: Would you work as an Easter Bunny to make some extra money? Affiliate Link Disclosure: We have a serious Taco Bell addiction around here. The affiliate links in this post helps us order off the dollar menu. Thanks for your support! Addi Ganley is a full-time blogger and writer at Frugal Fantic, where she offers a fresh perspective on frugal living and provides various options to earn an income from home. She focuses on how to make money both full time and part time, and teaches people about money management on a tight budget.